The Rose Painted Calathea is a long rounded leaf plant with a green stripe pattern that develops a rose pained colour to the leaf as it matures. 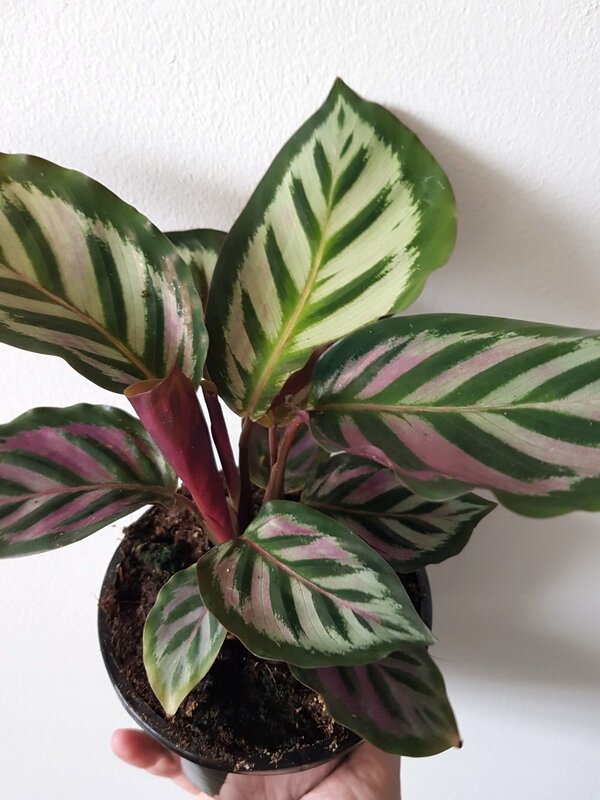 The Rose Painted Calathea is a long rounded leaf plant with a green stripe pattern that develops a rose pained colour to the leaf as it matures. They will grow to fill a pot and the leaves will continue to increase in size and number as the plants grows bigger. This delicate looking plant enjoys a bright morning sun position out of direct sunlight and likes its soil to dry out before being watered again. Calatheas also like humidity so appreciate a regular misting of their leaves.